A Breakthrough on the TAPI Pipeline? India and Pakistan hint that progress has finally been made with Turkmenistan on the huge energy project. Indian and Pakistani press reports surrounding the March 15 meeting in Kabul of the steering committee Turkmenistan-Afghanistan-Pakistan-India (TAPI) pipeline suggest a breakthrough has finally been achieved and construction on the mega-project could begin in 2015. The apparent impasse over Turkmenistan’s terms for financing the pipeline’s construction seems to have been resolved owing to the Turkmen government’s new determination to diversify the markets for its natural gas. With the drastic reduction and imminent cessation of Russian imports of natural gas from Turkmenistan, China has become Turkmenistan’s sole export market. While welcoming economic cooperation with China, Ashgabat has been working assiduously to avoid undue economic dependence on Beijing and therefore has been motivated to make key concessions for the construction of the TAPI pipeline. By creating the first significant overland link with India, the TAPI pipeline project will not only diversify Turkmenistan’s gas exports – it will permanently alter the pattern of Central Asian connectivity. On October 2014, Russian natural gas giant Gazprom announced it would cease purchasing natural gas from Turkmenistan. Following through on its announcement, Gazprom slashed its imports from Turkmenistan by almost two-thirds at the beginning of 2015. In 2003, Turkmenistan’s state-owned natural gas company Türkmengaz signed a 25-year agreement with Gazprom for the delivery of 70-80 billion cubic meters (bcm) of Turkmen gas per year to Russia. By 2008, Turkmenistan’s gas exports had reached 45 bcm. Due to an April 2009 explosion in the Truboprovodnaiia sistema Sredniaia Aziia-Tsentr (Central Asia-Center pipeline system), commonly known as SATS, near the border between Turkmenistan and Uzbekistan, Turkmenistan’s natural gas exports to Russia were temporarily halted. Although the flow of gas via SATS was restored, China exploited the hiatus to develop its own share of Turkmen gas exports. In December 2014, one month prior to the resumption of gas deliveries to Russia, Turkmenistan opened the first section of a pipeline designed to transport 40 bcm per year to China. Construction of the 1,833 km/1,139 mile pipeline was financed by China National Petroleum Corporation (CNPC). With Russian imports of Turkmen gas falling from 45 to 4 bcm, China has become the only significant export market for Turkmenistan’s gas. While Turkmenistan now exports 35 bcm annually to China, the revenues that Ashgabat earns are offset by the debt it owes CNPC for building the China-Turkmenistan pipeline. Without other export outlets, Turkmenistan risks developing a dangerously high level of economic dependence on China. CNPC is the sole service contractor for the second phase of development of Turkmenistan’s Galkynysh field, the world’s second-largest natural gas deposit. Compounding the problem, Ashgabat and Beijing signed the May 2014 China-Turkmenistan Friendly Cooperation agreement, committing Turkmenistan to increase natural gas exports to China to a minimum 65 bcm per year via the construction of an additional two pipelines from Turkmenistan to China’s Xinjiang province. To diversify its natural gas markets, the formerly reclusive Turkmenistan has recently reached out to Turkey, Japan, and South Korea to develop projects in Turkmenistan for LNG, Gas-to-Liquids, and the manufacture of fertilizers from natural gas. However, Turkmenistan’s best immediate hope for export diversification is the TAPI pipeline project. The TAPI pipeline is slated to transport 33 bcm of natural gas, roughly matching Turkmenistan’s current exports to China. By transporting gas from Turkmenistan’s Galkynysh field to the neighboring South Asia region, transporting 14 million standard cubic meters a day (mmscmd) of natural gas to Afghanistan, while India and Pakistan will each receive 38 mmscmd. However, the route of the $10 billion, Central Asia-South Asia pipeline traverses Afghanistan’s Kandahar province and the neighboring Quetta region of Pakistan, traditionally the heartland of Taliban militancy. Because of the risk involved, progress on TAPI has stalled. The Asian Development Bank (ADB), which assumed the role of transaction advisor to facilitate the construction of the pipeline, estimates that the delays have raised the cost of the project by $2.5 billion to its current $10 billion price tag. In October 2014, the ADB commissioned a feasibility study for the TAPI pipeline project as part of its effort to establish a consortium that would construct the pipeline by 2018. At the TAPI Steering Committee meeting held in November 2014 in Ashgabat, representatives from the four nations and the ADB agreed to an accelerated timetable for completion of the pipeline. 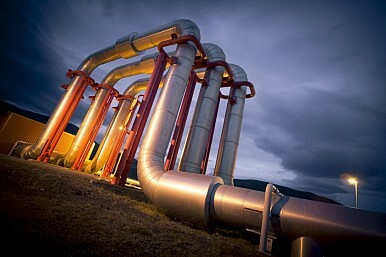 Pending selection of a consortium leader, construction could begin in 2015 and the pipeline could be operational by 2018. Yet the selection of a consortium leader has proven to be TAPI’s main stumbling block. U.S. oil majors Chevron and Exxon Mobil initially expressed interest in the role. However, owing to Turkmenistan law, which precludes the private ownership of land, both companies withdrew from consideration after Asghabat’s refusal to issue an equity stake in the Galkynysh field in exchange for assuming the risk of construction. Total S.A., after Chevron and ExxonMobil’s withdrawal, was considered the leading candidate. Still, the recent February 11, 2015 TAPI steering committee held in Islamabad failed to select the French energy giant as consortium leader and special TAPI meeting was called to be convened in the Afghan capital Kabul on March 15, 2014 to select a consortium leader. In his remarks following the Kabul meeting, Sartaj Aziz, adviser to Pakistan’s prime minister on national security and foreign affairs, stated that a breakthrough is expected on the TAPI pipeline project by the end of 2015. Without providing details but promising that the issue of pricing would be finalized soon, Aziz declared that most of the issues were settled at the Kabul meeting and a leading financing entity had agreed to finance the project. In addition to Total, Russia’s Rostec and CNPC are also being considered for the project. Yet, according to a recent Indian press report from a newspaper known for its links to India’s ruling BJP, two consortiums may be established for the TAPI project. One will be a joint venture between the Turkmenistan government and Total for Galkynysh’s upstream operations, while Total would serve as consortium leader with Russia’s Rostec and CNPC for the pipeline construction. If true, this suggests that Turkmenistan has opted to arrive at a breakthrough by offering Total a sufficient profit share in the gas field to warrant its assumption of the risk of the pipeline construction, while Turkmenistan technically will retain legal ownership of the land. Such a solution could come in the form of a modified Technical Services Contract that would give Total the first right of refusal over gas extracted from Galkynysh. The participation of Rostec and CNPC as consortium partners for the construction of the pipeline under Total’s leadership would also constitute a savvy move by Ashgabat to mollify Moscow and Beijing as Turkmenistan stands on the threshold of developing new connectivity with New Delhi. The construction of the TAPI pipeline and the development of India as an export market for Turkmenistan would constitute an important breakthrough toward Turkmenistan’s ambitious energy production and export goals. Turkmenistan’s President Gurbanguly Berdimuhamedov has committed his government to raising foreign investment in Turkmenistan’s energy sector to achieve his goal of doubling Turkmenistan’s natural gas production by 2020, on the way to achieving an annual production rate of 250 bcm by 2030. In addition to moving Turkmenistan closer to realizing its objective of becoming an energy exporting economic tiger, the TAPI pipeline will also change the regional diplomacy of Central Asia through the establishment of connectivity with India. The success of a trans-national Central Asia-to-India pipeline would certainly spur the expansion of current efforts to create road and rail transportation connectivity between Central Asia and India. With this connectivity, India would be able to deepen its bilateral economic partnerships with the Central Asian republics and become a major player in the emerging Eurasian regional architecture, creating the possibility of new alliance formations that would help ensure that Central Asia would not become subject to some form of Sino-Russian joint hegemony. Micha’el Tanchum is a Fellow in the Middle East and Asia Units, Truman Research Institute for the Advancement of Peace, Hebrew University. Dr. Tanchum also teaches in the Departments of Middle Eastern History and East Asian Studies as well as the Faculty of Law at Tel Aviv University. An earlier version this article was first published in the Central Asia-Caucasus Analyst, a biweekly publication of the Central Asia-Caucasus Institute & Silk Road Studies Program Joint Center.